Trick or Treat with Me! Will you drink from THE FAMILY TREE? - Creedence Clearwater Revival "Bad Moon Rising"
THIS WEEK is the big ramp-up for Halloween, and there's lots going on in my neck of the haunted woods. Don't forget to play the The Pumpkin Man's haunted Ouija Board (ask it things like "how will I die," "who are you", or "will you kill me"). And listen to some Siren music or explore the mapped world of The 13th. I'll be a guest! Listen here. 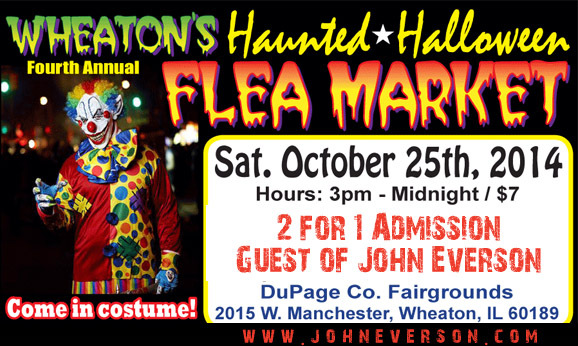 I will be selling and signing books as an author guest of the All Night Haunted Flea Market! There's going to be a Zombie Crawl & Dance, Zombie Makeup Artists, Live Music, Hay Rides, Costume Ball... I'm looking forward to this one. Plus, I'm authorized to give out 2-for-1 coupons to my mailing list... see below! Sunday, 2 - 5 p.m.
Chris Larsen, Brian Pinkerton, Richard Thomas, J Michael Major and I will all be doing readings and signings at the Hometown Horrorfest! The event is free, and proceeds from the sale of each book benefit the Kalo Foundation of Park Ridge, IL. 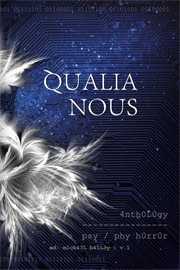 Three of us have stories in the Qualia Nous anthology, so there will be some copies of that available! Stop out and enjoy an afternoon of horror! For those who can come out to Wheaton on Saturday for the Flea Market, print the coupon below and show it at the gate to get 2 for 1 admission. The Pumpkin Man, Siren and The 13th are just $1.99 this month; PLUS Covenant and Sacrifice are $3! I MENTIONED PART OF THIS BEFORE - AMAZON.COM has a great e-book sale going for October -- they've put 51 horror novels on sale for just $1.99. There are books by Richard Laymon, Jack Ketchum, Nate Kenyon, W.D. Gagliani, John Skipp and more. And they've included three of my novels on the list -- So you can get The 13th, Siren and The Pumpkin Man this week for under 2 bucks! Just a few days left on this special sale, so check it out if you don't have them. 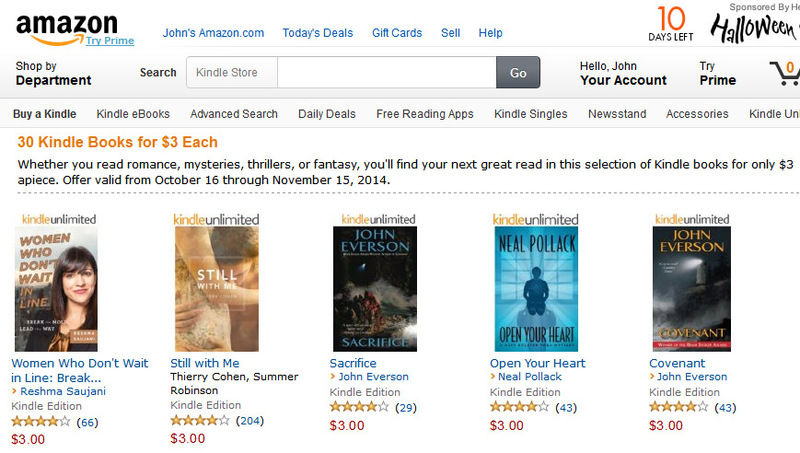 Check out all of the 30 Books for $3 offers here: Halloween Horror Kindle Deals. The Family Tree is now available! "Last year, I had the distinct pleasure of reviewing author John Everson’s book VIOLET EYES. I said in my review, “I absolutely loved this book and am proud to boast that it has moved into my Top 5 Horror Novels of 2013”. Well, here we are, a year later, and I’m proud to say Everson has published yet another horror masterpiece that is in my top five for this year. 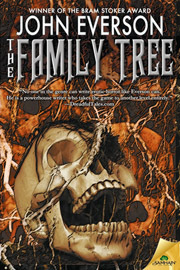 A haunting and original book, THE FAMILY TREE is a creepy tale of family heritage and devotion that you won’t soon forget... I greatly enjoyed its originality, along with the mythology that is created for it. The mystery of the plot unfolds with masterful precision, and the horror it presents will make you question the dedication you have to your own family. THE FAMILY TREE is a major win for me, and I highly recommend it." I hope everyone on this mailing list will take a look... and let me know what you think! Send me your Top 5 Favorite Horror Movies! EVERY OCTOBER, I O.D. ON Halloween-themed movies. I also stage a horror movie marathon night with some close friends, but this year we won't be able to get that in until November -- a little late, but I just say, we're keeping the season alive! I could tell you a long list of my faves.... but I want to hear what you're watching this Halloween. Email me your list of your favorite Top 5 horror films to john@johneverson.com. I will be curious to see if your lists echo mine. I'll publish some of your lists in my next newsletter, along with my own personal favorites (some of which I'll probably be re-watching in the next couple weeks).